What a start to summer vacation. 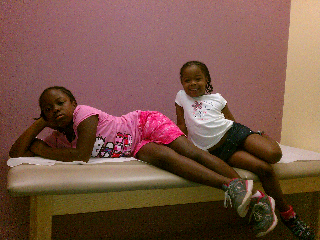 P.Mighty, P.Mini, and I started the first day of vacation at the doctor's office. Even not feeling good they are in good spirits. I suspect too much partying in the pool this weekend.